Clean air is like Oxygen passing through lungs of your engine. It is critical to performance and life of all engines because even smallest dust particles entering your engine can cause tremendous damage. An average vehicle engine performing under immense performance pressure breathes in approximately 9,500 liters of air for every liter of fuel consumed. If car air filter is clogged with dirt the filter’s ability to reduce dirt passing directly into the engine is considerably reduced. The air filter plays the critical role in protecting engine wear which can lead to costly engine replacement. 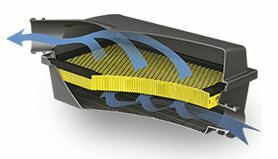 Specially engineered pleat-lock glue ensures pleats are “locked” into places thus ensuring uniform airflow and help increasing overall engine performance. Prevents damage to engine’s top end, providing protection to valves, rings and cylinder bores. Lets dirt pass directly through to the engine. Leads to rapid engine wear and shorter engine life. Filter separates and prevents impurities particles from entering engine like dust particles, moisture, metal particles, sludge and carbon. Filter efficiency is the percentage of dirt removed by the filter. The filter paper or ‘’media’’ acts as a barrier. It allows oil, air or fuel to pass through and traps the dirt. Increase in twists and turns enhances the possibility of trapped dirt. Higher efficiency = higher % of removed dirt. New filters are least efficient and before complete blockage they are most efficient. Mixture of different fibers joined together is called media. The impurities of oil, air or fuel filter are trapped in media paper. Two aspects of media are really important, quality and quantity. Similar looking media are not always equal in performance. The real function of the filter is to trap as much as possible dirt but with least resistance to flow. More media in filter traps more impurities unlike the filter which has less media. Few pleats have less media and low capacity. In any case, appropriate resins and compounds are important for media. Life of the filter depends on its dust-holding capacity. Filter with high quality paper will trap more dirt and will last longer. Flow means how easily air, oil or fuel passes through the filter. Minimal resistance to flow means engine will always have the exact amount of air, oil or fuel needed. If this is not happening, engine will work harder, lose power and generate quick engine wear issues. Regular filter changes ensure optimum efficiency, performance and longer engine life. A micro is equal to one millionth of a meter. Micro rating is the measure of the pore size in the media and expressed as either ‘Nominal’ or ‘Absolute’. Nominal Rating means percentage of particles that filter can capture at a given size like 10 microns at 90% will remove 90% of particles 10 microns in size. Absolute means the removal of all particles at a given size and larger like 20 micron absolute will trap 100% of particles 20 microns or greater. Lower micron rating means greater efficiency and greater amount of dirt captured. Commonly used oil filters have approximately 30 micron rating. You need to check same test procedure should have been followed while comparing different filter brands micron rating. Anti drain back valve prevents oil from draining out of filter and oil galleries while engine is not working and helps in rapid flow of oil to engine when it starts. Construction of the engine determines if the anti drain back valve is needed. By-pass valve opens when the oil filter blocks and allows oil to flow into the engine. Full flow means 100% of the oil passing through the same media before entering the engine. Bypass filters restrict some portion of the oil and filter out smaller particles which can pass through the full flow filter. This is common in heavy duty applications. Some filters have full flow and bypass in a single canister. Over pressurisation occurs when the oil pressure valve momentarily sticks and this results in extreme pressure experienced by the whole lubricating system. Increases pressure tries to force the filter off the engine and the oil filter expands due to this pressure. Ryco filters are designed to endure 3 times more than the normal operating pressure. Refer to our catalogue for further information. Commonly the carbureted system work at low pressure and has comparatively low flow. Filters have nylon body. EFI filters’ body is made with metal and built to endure high pressure and flow. Both filters can use different type of media. Because it is the most vital filter. Unfiltered air (inducted contamination) will lead to severe engine wear. 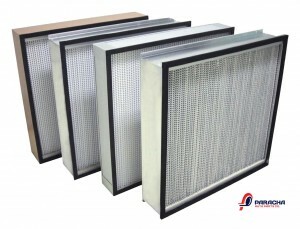 Life of the air filter depends on operating environment of vehicle i.e. hot, dusty conditions regular change is needed. Irrespective of conditions or travelled distance, you need to change air filter after every 12 months. Fuel consumption increases when air filter is blocked. It can also cause increased cylinder bore wear due to extremely high fuel to air ratios. Wire screens in air filters give strength to the filter due to increase air flows and in case backfires occur it provides fire protection. You need to make sure the correct filter was installed as given instruction. 1. First check old sealing gasket was removed from engine mounting base plate and the plate has not damaged. 3. Threaded stud has not been damaged or loose. If you are using poor quality oil for extended time period, a good quality filter cannot prevent excessive wear. Low quality oil puts more stress on the engine as the oil additives degrade rapidly. Good quality oil and filters are essential for engine performance. Will I void my warranty using Zix filters? 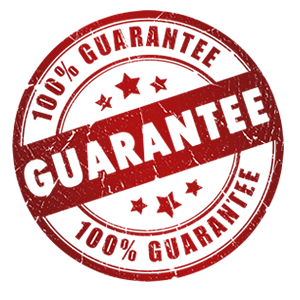 As long as your mechanic is qualified and he performs service according to manufacturer’s specifications, you will not void your warranty.